Now that you have tips on how to attend a blog conference, now you need business cards. A business card is like a resume. It’s a small preview of who you are. You can design it to showcase your personality or tell your story. Like Facebook and Twitter, we connect instantly without knowing each other based on topics and likeness. When you meet people in your industry having a business card is another way to connect with them. 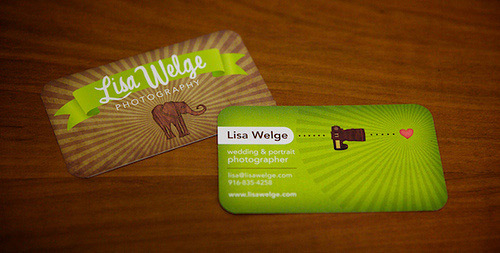 Business cards is a great marketing tool that keeps evolving to embrace social media and technology to stay connected. What are the Benefits of Business Cards? Easy to carry and hand out. Gives you an opportunity to share your information with others you want to get to know better. You can leave a lasting impression with those you just met. 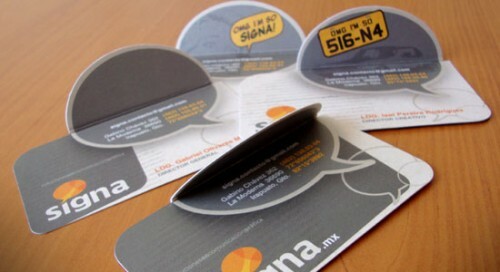 The design behind your business cards, help articulate public perception of you, your brand and/or company. Staying consistent with your brand is as important as having a logo on your website, without it, people won’t know it’s you. You can add a picture, but it only ends up being a card with your face on it and nothing more. Would Nike create a tennis shoe without their logo? It would be a no-name shoe and you probably wouldn’t buy it. Your logo, picture of yourself, the colors and its design go hand in hand and without it people won’t recognize you. Your business card is the only perceptible thing they have to remember you by. Why not create something remarkable and memorable. When I began thinking about my business cards, the one thing I wanted to incorporate was my personality. Anyone can create a simple business card, add some colors and a few tidbits pertaining to your site, but will it make a difference? Maybe. Having a business card to hand out is better than no card, so don’t kill yourself over trying to reinvent the wheel for outlandish design. Have fun with it! 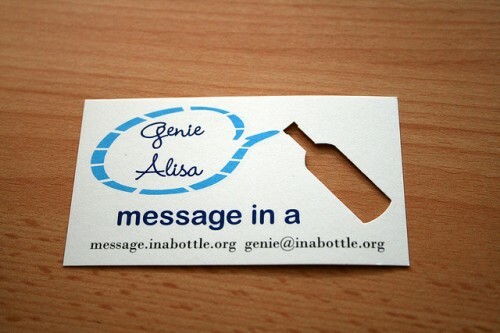 What do you need to build a remarkable business card? Have a goal – Before attending a blog conference, think about your goals and what you hope to gain from it. Figuring this out early on will help you know what to put on your card. Show your personality and give your card the design it was meant to have. Include only pertinent information – Keep It Simple Stupid. (You’re not stupid), but you get the idea. Don’t forget the real estate on the back of the card too. Cramming everything on the front makes no sense and doesn’t allow for you to be creative with the design. Describe Your Business –Tell what you do and what you offer. Don’t try and write a novel. A short phrase will be sufficient. Design a Remarkable card – Design something worth looking at. You only get one chance to make an impression. You don’t have to go broke designing a card, but you need to be resourceful in the place you pick to design yours. Look at your blog and think about its design, colors, layout and niche. The design you create speaks volumes about your business. Use your face – Some might agree or disagree on this, but your picture is just as essential. Blogging online isn’t an invisible game and your face is just as much your brand as your logo is. If you are “gun shy” about posting your picture for everyone to see, the only one seeing it will be the person you give a card to. Does it really matter at that point? People recognize your face more than your brand. Mark Zuckerberg is the face of Facebook no more than Bill Gates is for Microsoft. Pick the size that fits you – You don’t want to pick a card that won’t fit inside a wallet, but be mindful of whom you will hand them out to. Exchange cards with prospects that you want to network with. Don’t give it out for the sake of handing it out. Picking the right size will ensure that your card won’t get lost in a pile of brochures or other pamphlets. 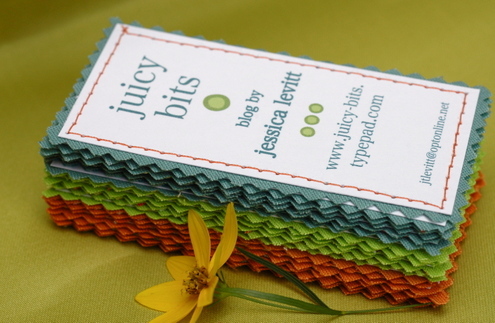 Pick out good quality paper – Pick material that will fit the concept you are after. A simple matted look usually does the trick, but if you want a glossy look it could cost you. Choose your colors carefully – Color is a key facet to remember. Certain colors give off different meanings and might not convey the message you want. Don’t be afraid to mix and match. Remember, this is suppose to be the fun part. Some might argue that a business card isn’t necessary and a waste of money. It doesn’t play a video or show a resume of your past work, but they are still incredibly efficient. As technology continues to advance so will business cards as people want more digital contact information that can be sent directly to their smartphone to use immediately. QR codes can be found on many cards today, but I haven’t felt a need to add it to my cards at this time. If you don’t have a need or can’t afford business cards and want an immediate link to your iPhone, then you might consider Cardflick. 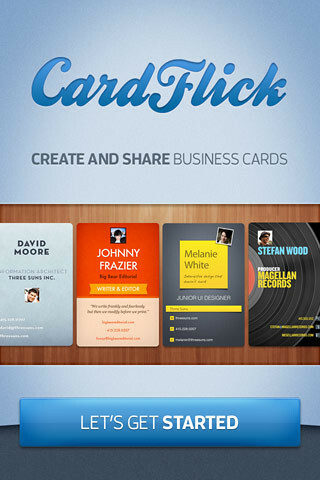 Cardflick is a new app I discovered for creating business cards directly on your iPhone or iPod Touch. Not everyone owns an iPhone, but if you have an iPod it will work just as well. Cardflick comes with several themes to customize the look you want to send. All you have to do is add your photo and enter pertinent information you want to flick to another user’s iPhone or iPod. If you meet another member that uses Cardflick, you both access the app and push your card across the screen to send it. Hence, the name, “Cardflick”. If another person isn’t using Cardflick, you can simply send them an email. Sadly, you can’t have more than one card and they are currently creating a beta version for Android. Don’t have an iPhone or iPod, no worries, you can sign up online and still create your own Cardflick online now. While your at it, connect with me too! We all collect business cards and let’s admit it; we all throw most of them away. Why do some cards make the cut, while others end up in the trash? Use the social buttons below to add it on your favorite social sites or send it via email. Also, subscribe to posts via RSS or by email to get the latest on blogging tips, social media, and other information. Note: All card photos belong to their respective owners.